For the third week running it was a horrible dark grey day for my photo shoot on Sunday morning, but at least the wind hadn't turned up to further hinder the photography. 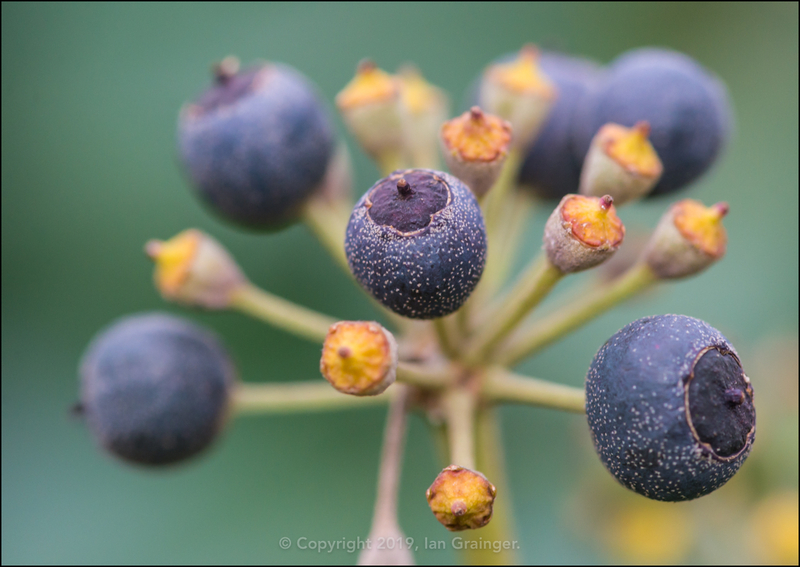 My first stop of the day was at the Common Ivy (Hedera helix) bush, which was finally seeing some of its berries starting to ripen. 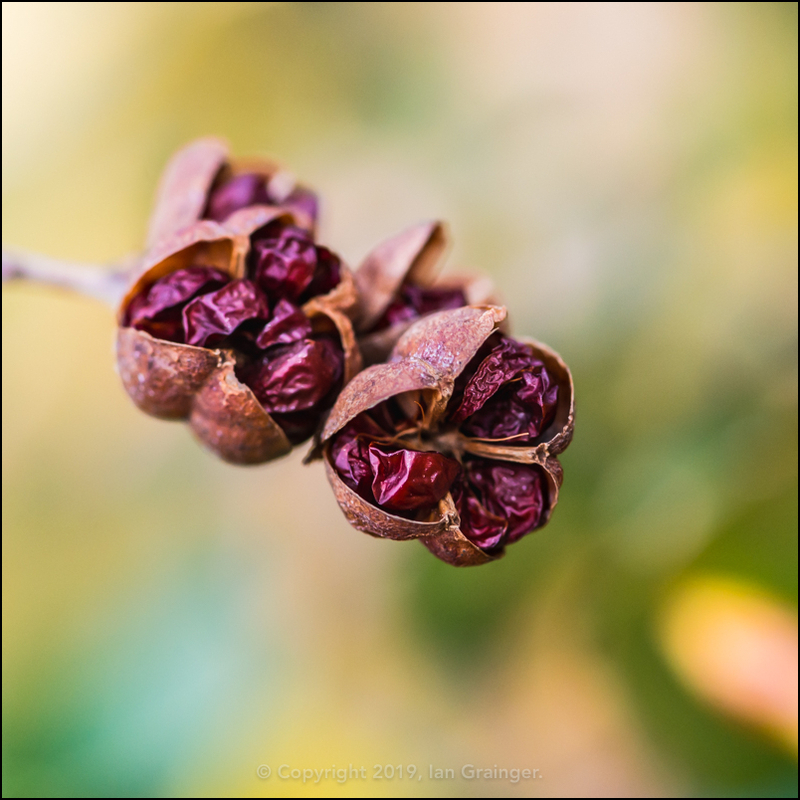 The berries started to form in late October last year, and I last posted about them here in early November. 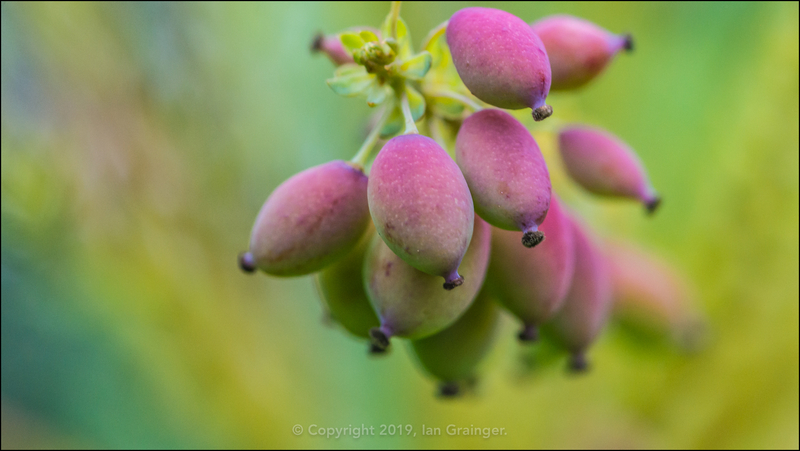 Other berries starting to ripen belonged to the Oregon Grape (Mahonia japonica) bush, and they were colouring up nicely. 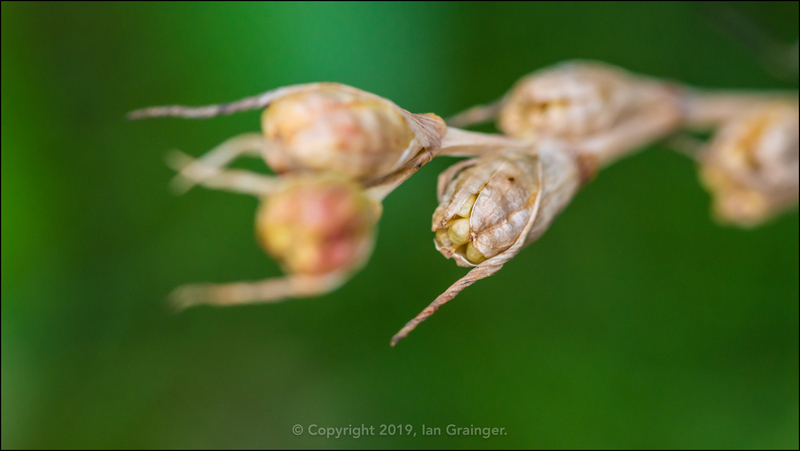 I'd already collected Crocosmia 'Lucifer' (Crocosmia curtonus) seeds, and would be sowing them later in the year. 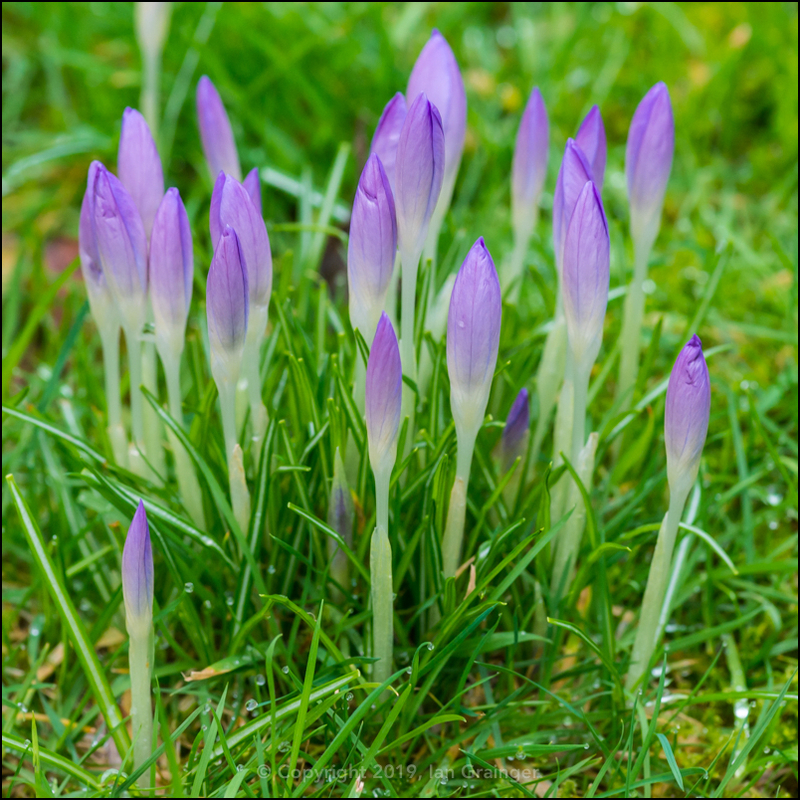 There was a nice surprise waiting for me in the garden lawn, with the first of this year's Crocus poking their flower buds above ground. 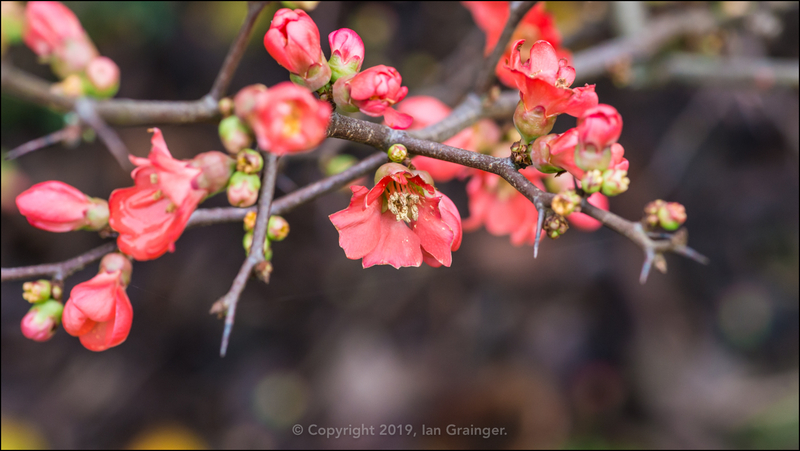 The second of the garden's Quince (Chaenomeles) bushes was now in blossom mode, and had quite a few flowers on each of its many branches. 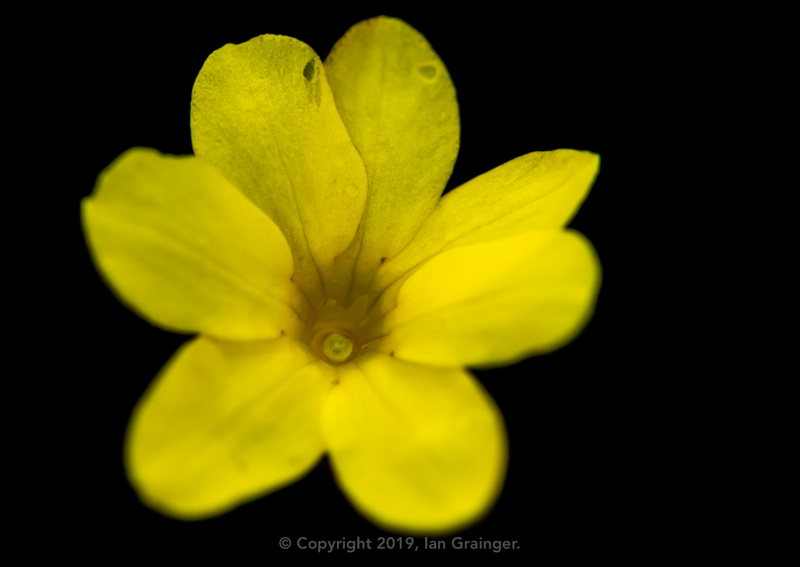 The Winter Jasmine (Jasminum nudiflorum) continued to twinkle, with more and more flowers now appearing. 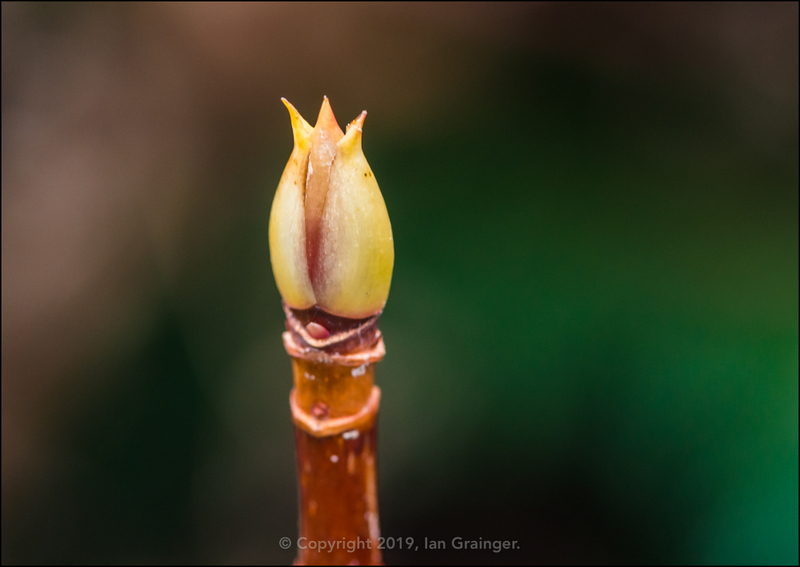 There was lots of new growth on the Climbing Hydrangea (Hydrangea anomala) bush, with many new leaf buds appearing. 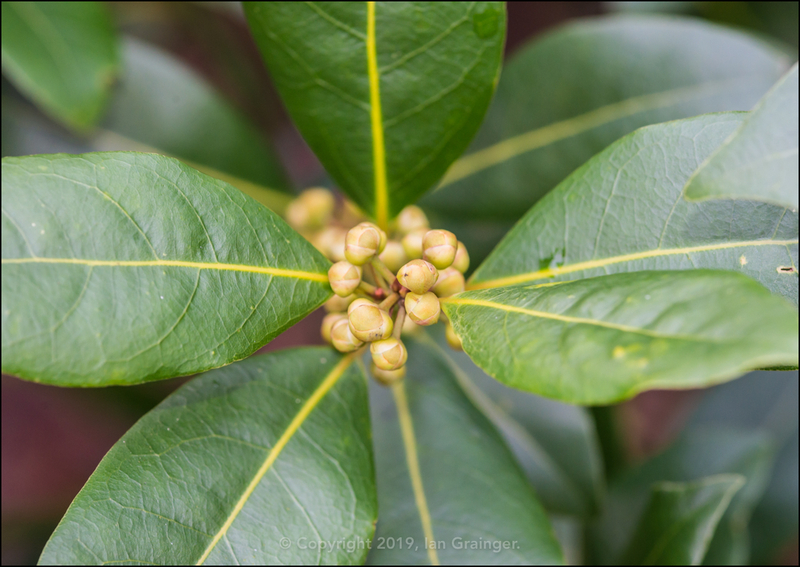 One of the Bay (Laurus nobilis) trees was also producing some blossom, so it felt like Spring wasn't too far away. 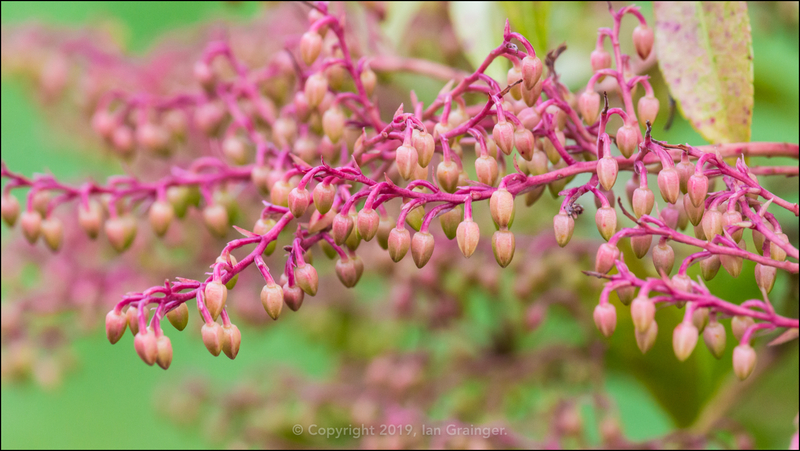 The Forest Flame (Pieris) also continued to tantalise with its masses of flower buds, but would open when it was ready I guessed.